This year’s Summer Reading program was hosted, organized, and staged by our new children’s librarian, Beth Sisler, who did a marvelous job at it! She was able to gather almost 200 young readers to the library who checked the majority of the almost 7,788 items circulated during the six week period. This wouldn’t have been possible without the generous donations we received from our wonderful community! In the past, the Summer Reading program has been the only large program that we hosted regularly. That’s changing this year! Tech Workshops, Story Time, Book Clubs (for both kids and adults! ), and other interest groups are going to start blooming at the library! In the past, Tech Classes have been somewhat formal with focused agendas each week but people seemed to find the open questioning / troubleshooting more helpful than other sessions. I’m glad to work one-on-one with folks who have tech questions, too! Future Tech Workshops will all be exclusively focused on the individual needs of patrons. We had previously been meeting from 6PM to 8PM but we will be meeting earlier from this point on. Open questioning, troubleshooting, conceptual explanations, and more will be available Tuesday evening from 5:00 PM 10:00 AM till 7:00 PM, free to anyone who wants to join! Bring your own device or work on one of ours! This program will be designed for kids ages 2-6 years and their families, but everyone is welcome! Starting September 9th at 3:30 we will meet every week for a story, craft, and snack. The staff at Stinson have been discussing all kinds of clubs as of late. Books, movies, board games, Lego, Robotics, and other clubs are hot on our minds. If you can think of any kind of group you’d be interested in leave us a comment here or in the Suggestions Box in the adult fiction room! We’ll keep the site posted once plans become more concrete. Is 21 days not long enough for you? Would you like to keep the book forever? No problem! 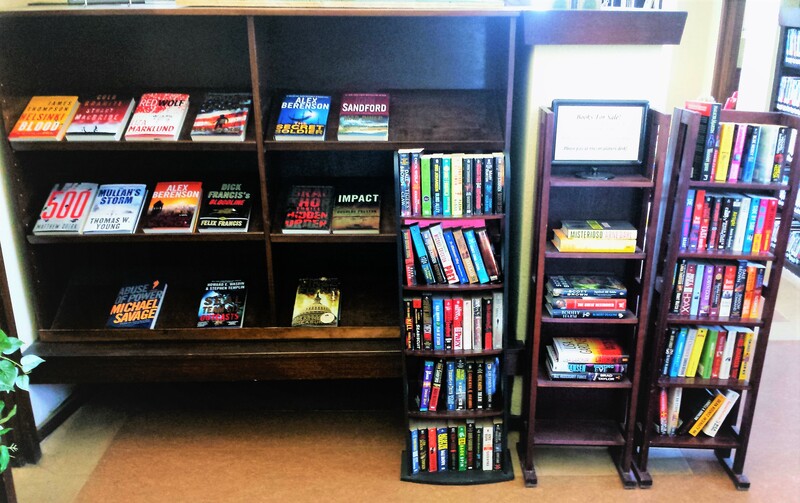 In addition to the three annual book sales hosted by the Friends Of Stinson, there are like-new books for sale year-round. 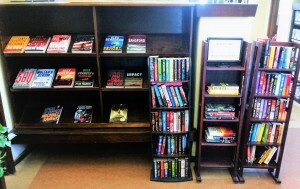 The hardbacks sell for $3 each and the paperbacks are only $1 or buy 5 get 1 free! This entry was posted in Announcements, Summer Reading by Thomas Sisler. Bookmark the permalink.